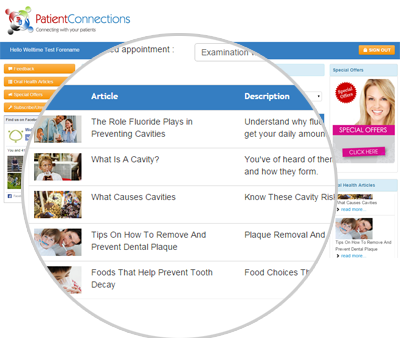 PatientConnections (PCs) is an agile, smart and convenient web-based solution that integrates a Feedback System, Google Review, Patient Education & Social Media Marketing to grow your business and build strong customer relationships. 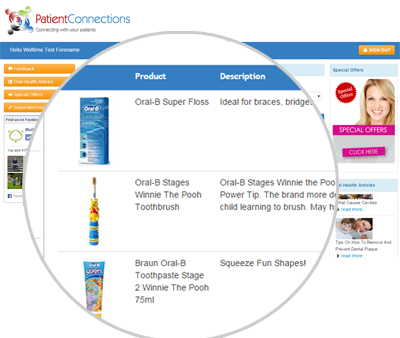 Help your patients in achieving optimal oral and dental health; information about any products you recommend in your consultations can be sent to them with a link to reserve at practice or buy directly from Amazon. 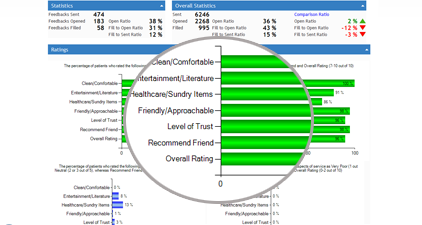 PatientConnections has a very powerful yet easy to understand reporting module. It gives you the performance of the practice with a quick glance. 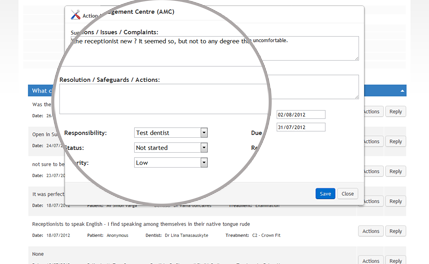 Reports can be pulled on demand with different date range. PatientConnection has a very powerful Google Reviews module. 70% of New Patients use them. 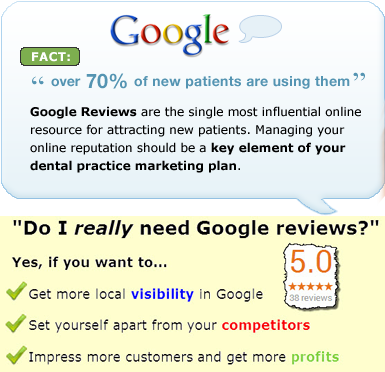 Google Reviews are the most influential online resource for attracting new Patients. 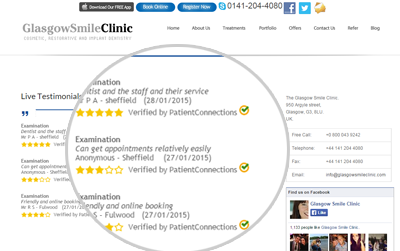 Managing your online reputation is a key element of your dental practice. 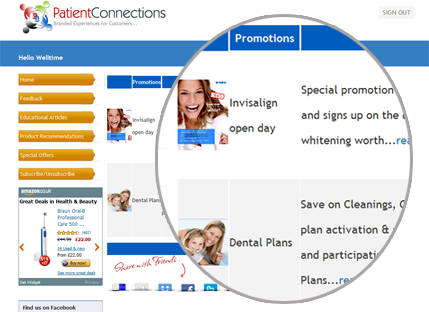 PatientConnections is an agile, smart and convenient web-based solution that integrates for dental practices a Feedback System, Friends and Family Test (FFT), Social Media Marketing and Patient Education to grow their businesses and build strong customer relationships.